The Xiaomi Mi Pad 4 offers attractive fourth generation technology at an affordable price with only a few weaknesses. Find out what Xiaomi has and has not done well in this detailed review. Positive: Good price; attractive design; metal case; great built quality; nice display; decent cameras; high performance; long battery life. Negative: No fingerprint sensor. Positive: Good price; decent hardware; compact size; high mobility. Negative: No fingerprint sensor; poor connectivity. Positive: Low price; large screen; powerful processor; nice display. Positive: Solid workmanship; support USB-C; microSD card slot. Negative: No face ID. Positive: Nice display; decent autonomy; good speakers; attractive price. Positive: Nice design. Negative: Weak hardware; no microSD card slot. Positive: Good price; decent hardware; elegant design; nice display; metal case; great main camera; support 4G LTE; long battery life; USB-C; memory card slot. Negative: No fast charging; no fingerprint sensor. Positive: Low price; decent processor; face ID. 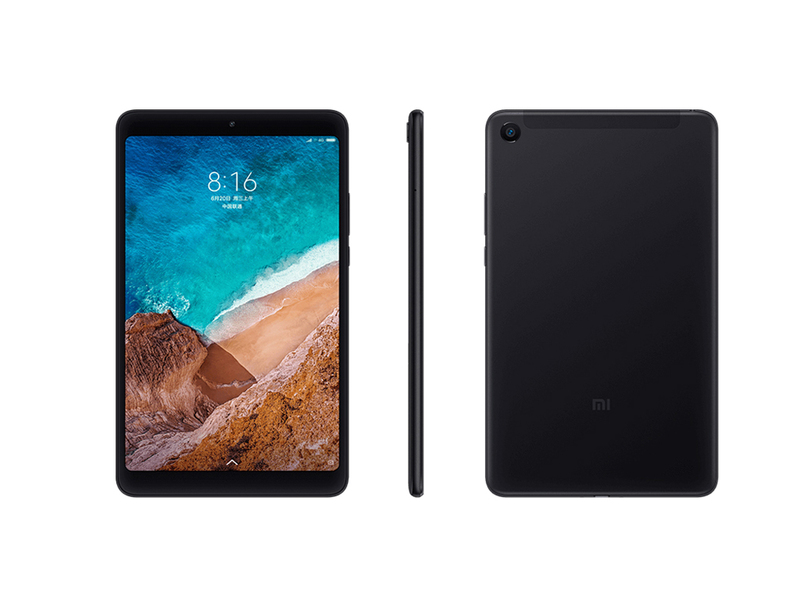 Model: The Xiaomi Mi Pad 4 belongs to the Xiaomi Mi Pad series of affordable tablets that has always provided great value in terms of specifications and pricing. The Xiaomi Mi Pad 4 was launched in China in June as the latest iteration of the Mi Pad series with an 8-inch WUXGA (1920×1200) IPS display and the Qualcomm Snapdragon 660 SoC. It can be an ideal device for all types of users including casual users, gamers or professionals. The Mi Pad 4 has been made for more convenient use with one hand. As a small-sized tablet, the Mi Pad 4 is obviously easier to control. The previous generation model comes with a 4:3 aspect ratio, while the new model uses a 16:10 aspect ratio, narrowing the width of four sides. That’s why the Xiaomi Mi Pad 4 becomes slenderer. The tablet is made out of a metal body and available in the two colors, which are Black and Rose-Gold. In addition, the screen share is 12.5 % higher than the 7.9-inch 4:3 Mi Pad 3’s. It is worth noting that our protagonist has been reduced to 1920 x 1200 in screen resolution. So, we have to state it is a step backwards in comparison to the Mi Pad 3’s 2048 x 1536 resolution. Of course, this also moderately relieves the pressure of processor rendering. At the same time, it is more power-efficient, and the pros and cons must be measured by users themselves. The Mi Pad 4 is featured with the 5.0 MP front camera and 13.0 MP rear camera let you capture memorable moments or chat with friends. But in the low light, it will not be able to capture good images. For the video calling, it is nice, and the picture from the rear camera is good. The tablet is equipped with the 8.0-inch FHD display with 2.048 x 1.536 resolution. The display supports multi touch up to 3 fingers. The IPS display provides better viewing angles. There is no screen protector on the display so if users need any kind of protection they have to do it themselves. The display is almost 72 % of the body. The tablet features a proximity sensor and a light sensor. With the latest MIUI 9.5, a user can turn on the Night Mode. There is also a reading mode as well for the best and optimal brightness for the reading. This time the Xiaomi Mi Pad 4 features the latest processor. It runs on the Qualcomm Snapdragon 660 octa-core processor. This octa-core processor clubbed with the 3 GB / 4 GB of RAM. Thanks to its Qualcomm Adreno 512 GPU users can easily watch movies in the HD resolution without any lagging. In addition to the hardware enhancement, the Xiaomi Mi Pad 4 comes with an optimized software. Moreover, it can be considered one of the most optimized Android tablets currently available on the market. First of all, users will notice the Xiaomi Mi Pad 4 cancelled the virtual buttons seen on the Mi Pad 3 and supports the latest MIUI gestures. Not only that, but the user can also call out the navigation ball at the edge of the screen at any time, which is an advantage. This is obviously necessary for a large-screen Xiaomi tablet. 81.97%: This rating should be considered to be average. This is because the proportion of notebooks which have a higher rating is approximately equal to the proportion which have a lower rating.